Nancy M. Nolte is a Certified Family Law Specialist whose practice is focused exclusively on family law issues. The Law and Mediation Offices of Nancy M. Nolte have been helping people find solutions to their family law problems for 31 years. Nancy M. Nolte is a certified Family Law Specialist by The State Bar of California Board of Specialization. We handle all aspects of family law, including divorce, child custody and support. For more information about how we can help, contact our Vacaville, California office. When handling divorce cases, we treat our clients with the respect they deserve. We are available and responsive to your needs. A divorce lawyer can stand by your side and guide you through this often difficult time. We balance our compassion and respect for our clients with tenacious resolve in the courtroom. Our firm will fight for your rights and steadfastly pursue your legal goals. 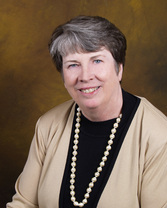 Nancy M. Nolte takes great pride in offering clients a high level of personal service. We educate you about what options you may have and the possible outcomes. We leverage our experience to achieve your goals and work hard to deliver outstanding service. Our firm is known and respected in the local and legal community for our honesty and high level of ethics. Nancy M. Nolte is a certified specialist in family law. Contact our Vacaville office today to find out how we can help. Call 707-447-3700 or contact us online. Nancy M. Nolte serves clients in Vacaville, Fairfield, Vallejo, Benicia, Rio Vista, Dixon and throughout Solano County and Davis, Woodland, Winters and throughout Yolo County.